While its modest exterior may be unassuming, walk inside Izzy's Brooklyn Bagels and you are greeted with the warm, inviting smell that many Palo Altans have come to know well. Beyond the dizzying variety of bagels served, Izzy's offers a wide selection of pastries and challah, as well as catering platters. However, the stars of the show here are the bagels, which are made fresh every day. Locals know that it's important to come in early so that popular flavors are still available. Cheesecakes! Specialty cakes! American-style cakes! Even a blueberry sponge cake that's completely free of gluten! The bakers at Prolific Oven live up to their company's name, pumping out baked goods of all varieties every day from scratch, from cookies to cupcakes and éclairs. And it's not just the moist cake layers that people beat down the doors for; there's the gooey goodness adorning inside and out: icing, custard, frosting, ganache, marzipan, mousse, whipped cream ... all worthy of some serious lip-licking. Are we drooling yet? It's a place where on special occasions families come sharply dressed and parking can be tricky. But under MacArthur Park's high ceilings with exposed beams and rafters (a signature design feature of Julia Morgan, the historic building's architect), there's plenty of grub to go around. It's surprising the buffet table doesn't groan under the smorgasbord: gigantic bowls of coleslaw and quinoa salad and serving pans of barbecue chicken, ribs and thick macaroni and cheese, to name only a few offerings. The regular dinner menu is just as generous, with cuts of pork, lamb and beef, as well as seafood options like mesquite-grilled wild salmon and grilled jumbo prawns. 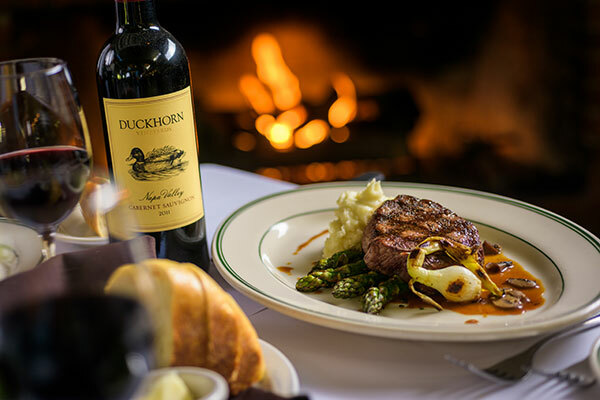 Aided by an extensive wine list, the food and ambiance make it a fitting place for a toast to friends, family and life. For more than three decades, Armadillo Willy's has lured serious barbecue fans over and over with its Texas-inspired grub. Three types of ribs, brisket and nearly everything else are cooked over an oak-wood fire at this locally owned, family-friendly barbecue joint, easily identified by the hand-drawn armadillo at its eight Bay Area locations. The menu offers traditional items like pinto beans and hand-cut fries, as well as more adventurous options, like jalapeño-cheese sausage and its trademark spicy peanut coleslaw. Don't forget to try the craft beer! Any diner can serve up eggs and bacon, but Joanie's Cafe on California Avenue takes breakfast to a new level. This longtime favorite offers an array of breakfast delights, from the smoked salmon crepes to New York steak and eggs. The omelet selection is particularly flavorful, whether you favor the Toscana or the huevos con chorizo. The hash browns at Joanie's are famously mouthwatering, and it's hard to go wrong with Hawaiian French toast, which includes pineapples, bananas and caramel. Dig in! A 21st-century spin on the classic burger joint, The Counter takes the traditional "meat between bread" concept and turns it into an innovative adventure. Menu items include the Bison is Gouda and the Holy Crab, along with an option to create your own burger. With various locations around the country and internationally, The Counter is a chain but has the contemporary feel, nuance and taste that should attract even the locals. Of course, it helps to be located among the hubbub of shops and restaurants along California Avenue. Who doesn't like a good burrito? With two Palo Alto locations, Sancho's Taqueria has been bringing authentic Mexican cuisine to the area for more than a decade. 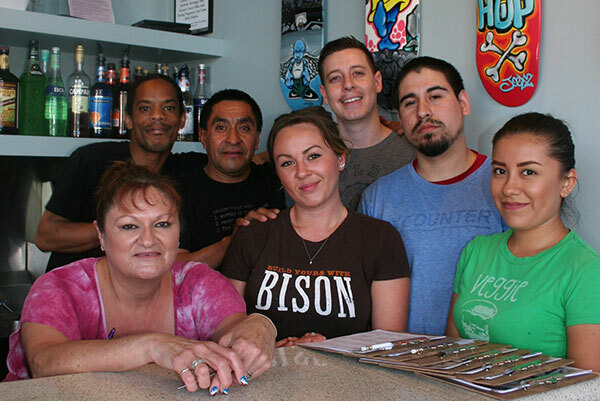 Known for its Baja-style fish tacos and carnitas burritos, Sancho's also provides catering and takeout options. Their menu has an array of taco and burrito varieties, along with seafood specials that include chipotle shrimp taco (the mere sound of which is saliva-inducing). Sancho's has both downtown and Midtown locations. An inconspicuously low-slung deli next to the Creekside Inn in Palo Alto, Driftwood Deli & Market exudes a "little engine that could" air, snagging this year's honor for best Deli/Sandwiches and winning rave reviews on Yelp. To be fair, Driftwood's sandwich list is anything but little. It boasts more than 50 kinds to chomp down on, including the Cable Car (chicken salad, bacon, lettuce and tomato) and the smoked salmon, plus traditional turkey, roast beef and ham offerings. There's also one called Heaven on Earth, which pretty much sums up the view of the place by its hordes of fans, who declare Driftwood their go-to lunch spot. Tucked away in a corner of Town & Country Village, the Village Cheese House serves some of the best sandwiches in Palo Alto. Now in its 57th year of operation, the Village Cheese House has certainly secured its spot as a community staple. They specialize in deli-style sandwiches that feature the shop's namesake cheeses, as well as its trade-secret original spread. With clean spacious interiors, affordable prices and offerings that are out of this world, the Village Cheese House has certainly earned its spot in our Hall of Fame. Dim sum never fails as a tasty lunch option, and Steam, conveniently located blocks from Stanford University, provides it with high quality. From pork and shrimp shu mai to shrimp har gow, Steam offers authentic Cantonese cuisine. A contemporary tea house modeled after those that provided dim sum for the merchants along the ancient Silk Road, Steam has a modern aura yet serves food that has been a cultural staple for centuries. In addition to dim sum, its dishes include Mongolian beef and kung pao chicken. When it comes to grabbing groceries, there are a lot of options. But Piazza's is a homegrown, local option in the Charleston Shopping Center that Palo Altans flock to. Piazza's has departments including produce, meat, seafood, cheese, wine, the bakery and the deli. Its wide selection of fruits and vegetables are flush with hard-to-find seasonal varieties and specialty items. "He who eats well, lives well" is the vision the staff lives by, and it is fulfilling it through the multitude of fresh options on its shelves, complemented by welcoming customer service. If the glamorous ambiance at Calave Wine Bar isn't enough to grab your attention, the bar bites (try the truffled popcorn and orange-coriander spiced mixed nuts) and $2 discount on wines and craft beers offered during happy hour at the California Avenue wine bar should certainly do it. Happy hour is Monday through Friday, 4-6 p.m. Get there early to claim a seat at the high communal table or cozy, low-slung sofa, and raise a glass of vino to the end of a stressful work day. Tin Pot Creamery has enjoyed immense success since owner Becky Sunseri, a former Facebook pastry chef with a degree in nutritional science from Cornell University, opened the small-batch ice-cream shop at Town & Country Village in 2014. 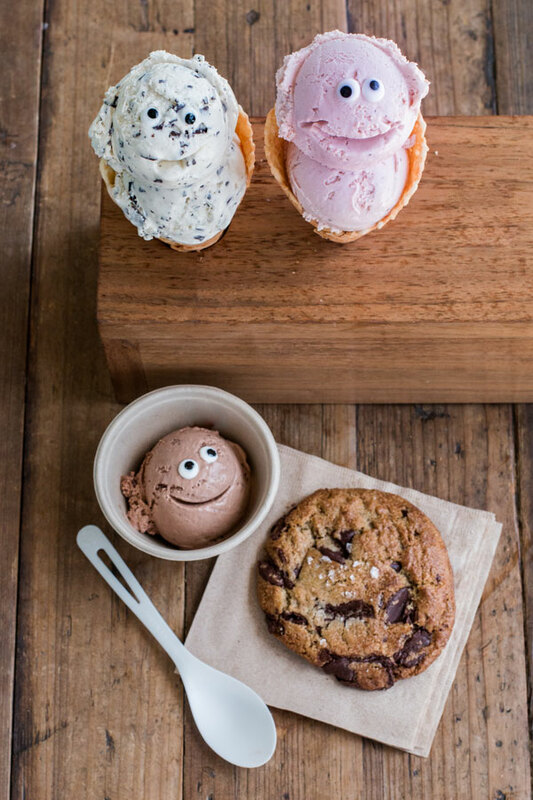 Everything — the ice cream, the toppings, the cones, the baked goods in many flavors featured as add-ins — is made in-house with locally grown, organic ingredients and much care. Flavors (some of which rotate seasonally) range from the classics to the more inventive, like Four Barrel coffee ice cream with cocoa nibs, blackberry jamble (homemade blackberry jam and a blackberry-oat crumble swirled into sweet-cream ice cream) and lavender with lemon poppy-seed cookies. Family owned for more than 85 years, the Palo Alto Creamery Fountain & Grill has remained in Palo Alto longer than most of its residents. When locals return to town, the Creamery is often on a short list of places to visit first, just to get a quick fix of their famous milkshakes, available in just about every flavor imaginable. In addition to milkshakes, the Creamery offers a great selection of sandwiches, burgers and other diner-style food. It may be rare to find a Palo Altan who has never experienced the Creamery firsthand — an indication that it is absolutely worth the visit. See complete listing for Calave Wine Bar under Happy Hour. Pizza and white-table-cloth dining go hand-in-hand at Terún, a new winner in the Pizza category for 2016. 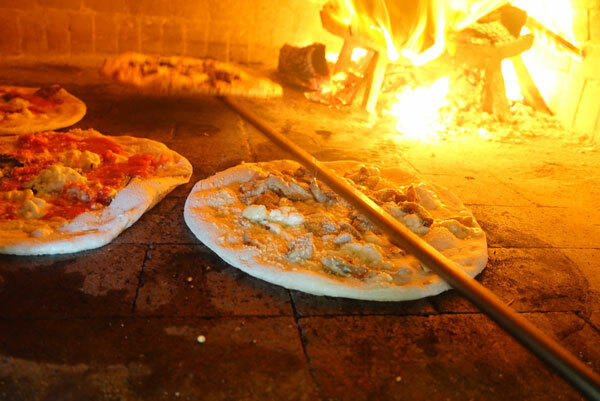 Wood-fired, Neapolitan-style pizza with fresh Italian ingredients range from classic to tonno e cipolle (tuna and onions) and mozzarella with pears and gorgonzola. Pizzas are complemented by handmade pastas, ravioli, gnocchi, risotto, Mediterranean sea bass, pollo picatta, Italian small-plate specialties and an impressive Italian wine list. Dine indoors or al fresco. The California Avenue Farmers' Market has it all. Rows of fresh, seasonal produce from excellent Bay Area farms; local seafood, meat, dairy, baked goods and other products; and stands with diverse prepared foods make this year-round Sunday farmers market a local destination. The market expanded in 2014, extending an extra block down California Avenue to Birch Street, room that accommodated 25 new vendors. No one knows your "perfect salad" better than you, and this fast-paced, celestially themed restaurant chain knows this better than anyone. Like other locations, the Pluto's on University Avenue offers savory sandwiches, sauteed veggies, starchy sides (solar sweet potato fries, anyone?) and a salad bar that encourages customization. Choose your base leaf and then pile on your favorite seven toppings from a list that includes grilled fennel, caramelized onions, navel oranges and sweet walnuts. Cheap, tasty and free of guilt. Talk about bustling. Sprout Cafe, a highly popular salad spot, offers fresh ingredients and sandwich items that keep the place full, especially at lunchtime. Pick an order card, fill out what you want, and salads are made to your specifications. While most people come here for salads, the sandwiches, such as fiery chipotle chicken, offer creative alternatives from the usual sandwich fare found elsewhere. Asian-style street food began to take off locally when Asian Box came to town. This small Town & Country Village eatery put a decidedly improved spin on the entire concept of "fast food." It certainly isn't grease- and salt-laden. Asian Box offers fresh, high-quality choices that include hormone- and antibiotic-free ingredients. Start your box with a choice of rices, Asian salad or rice noodles; choose a succulent meat or other protein; add in vegetables and other toppings; then top it off with a tasty sauce, from tamarind vinaigrette to fiery sriracha. Home cooking is great, but sometimes you want the luxury of a restaurant-quality meal in the comfort of your home. Luckily, takeout offers the best of both worlds, and Palo Alto's Su Hong has been voted the best in the world (or at least in the city). So good, in fact, that it's a Hall of Fame winner. From Chinese-American standards such as wonton soup and potstickers to Lion's Head in Clay Pot and Vegetarian Goose, Su Hong has long been a favorite choice for locals looking for good food on the go. It's a dangerous but delicious game at Yogurtland, where customers get to serve themselves from a row of yogurt dispensers and wealth of toppings. It's easy to forget how large the serving cup is and fill it right up with creamy dulce de leche, chocolate milkshake or toasted coconut, among other flavors. Good thing the self-serve dispensers list each flavor's ingredients, protein level and calorie count to bring you back to reality. Fraîche is where you go to treat yourself while still feeling good about it. The tart, organic yogurt is light and fresh. Indulge with toppings like brownie or oreo, or stay healthy with flax seed, granola, nuts and fruit. Ask for chocolate toppings, and an employee will shave fresh shards from a giant block of chocolate in front of you. The shop's oatmeal and yogurt combinations are not to be missed and pair well with a piping cup of coffee from San Francisco's Wrecking Ball Coffee Roasters.